What is an autonomous car and how do they work? You’ve got to marvel at the technological world we live in. It truly is an exciting time to be alive. And with the recent advancements in autonomous vehicle technology; it won’t be long before the automotive world as we know it is turned upside down. An autonomous car (also known as a driverless car or a self-driving car) is a vehicle that makes use of various cameras, sensors, artificial intelligence, and radar to travel from one destination to another without the need for human operation. For a vehicle to be classified as completely autonomous, it has to be able to self-navigate to a preset destination using streets and roads that are yet to be modified for its use. 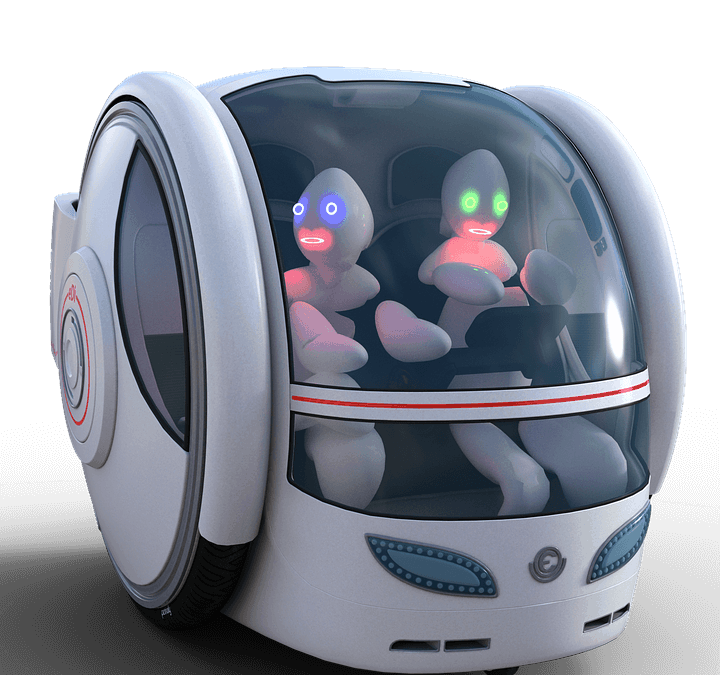 If human intervention is required during transit; the vehicle cannot be classified as fully autonomous. There are varying levels of autonomy classifications for self-driving cars. Each classification is determined by how much human assistance is required. Let’s take a closer look at how self-driving cars work. Level One – this level of autonomy uses an advanced driver assistance system to help with accelerating, braking and steering. The assistance system, known as ADAS uses technology such as rearview cameras and seatbelts that vibrate if the vehicle begins to leave the travelling zone. The driver assistance does not perform operations simultaneously. Level Two – the advanced driver assistance system performs functions such as accelerating, braking and steering simultaneously. Human interaction is still required and the driver continues to perform the driving role behind the wheel. Level Three – this level uses ADS, also known as an advanced driving system. An advanced driving system is able to park a vehicle. However, the driver needs to be fully aware during the operation and be prepared to take control if required. Level Four – the ADS system at this level can perform simultaneous driving tasks while monitoring and being aware of the current driving environments. At this level, the car is able to self-drive with minimal attention required by the driver. Level Five – when a car reaches this level of automation the driver and passengers play no role in the driving of the car. The ADS acts as a fully functional chauffeur and performs all the driving tasks under every type of circumstance. Autonomous cars work by using artificial intelligence. When programming a self-driving car, huge quantities of image recognition system data is installed. The vehicles also make use of neural networks and machine learning. Neural networks work in the same way a human brain works and enables machine learning via data pattern identification. The data that it processes is collected from cameras installed on the autonomous car. This enables the neural network to be able to identify pedestrians, trees, curbs, street signs, traffic lights, other vehicles and obstacles within the driving environment. In 2017, Mitsubishi unveiled its first autonomous driving technology to the world. The technology is based on Mitsubishi’s mobile mapping system. The MMS is designed to work in real time using a 3D map of the vehicle’s surroundings. The cars artificial intelligence will work seamlessly with the mobile mapping system. This will allow for the AI to recognise data with precision and speed, allowing it to react and act accordingly. At the Tokyo Motor Show in 2017, they released their EMIRAI 4 concept car. The fully electric car makes use of driver sensing technology which allows it to switch between autonomous and manual driving modes. For now, it is very much still in the concept stage. However, the driver assistance technology is expected to soon appear in their future crossover vehicles. Hyundai expects to launch self-driving cars on to the market by the year 2021. In fact, they’ve already mastered the roundabout. Working in partnership with Aurora, which is one of the world’s leading developers of autonomous technology, they aim to launch a level 4 self-driving vehicle. Hyundai is expected to release up to thirty-eight green cars over the next seven years. Currently, seven models are set to be released within the next four years. Perhaps several of these new green cars will feature Hyundai and Aurora’s autonomous capabilities. The company has been testing a selection of their current autonomous vehicle designs on public roads since 2015 in the US. By 2017, it’s IONIC car models had been trialled in more urban environments, testing the technology’s efficiency and safety in heavily built-up areas. They also sent 5 cars on a journey of 118 miles in South Korea. Three of the cars were modified hydrogen fuel cell vehicles, the Hyundai Nexo. This is the first time that autonomous technology has been successfully used with fuel cell cars. The remaining two vehicles were modified Genesis G80’s. Each of the cars that made up the Convoy were level four autonomous vehicles that made use of cameras, lidar, and radar technology connected via 5G Tech. The development of self-driving cars started just before the year 2000. With the development of anti-lock brakes and cruise control, other technological advancements soon followed. These included blind-spot, electronic stability control, and warnings systems for lane shifts. 2010 saw the arrival of more advanced assistance technologies, including lane-centring assistance, automated emergency brake systems and review video technology. 2016 finally saw real moves being made toward vehicle autonomy. Self-parking and adaptive cruise control were adopted by various manufacturers. As of 2018, there are no fully automated cars available to the public and they are not expected to be available for the foreseeable future. However, automated driving systems are paving the way and building the maps required for fully autonomous vehicles. As technology advances, so will the likelihood of self-driving cars becoming a reality on the roads of Australia.